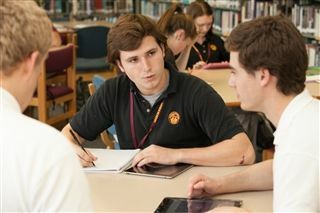 Loyola Academy offers numerous academic support programs including the O’Shaughnessy, Magis and peer tutoring programs. We provide additional help to all Loyola students in the areas of math, chemistry and writing. We support students who need limited accommodations to be successful in a college preparatory high school. Our goal is to promote an active learning environment that ensures success for all Loyola students beyond the classroom. The Math Lab is an integral resource for all Loyola students who need short-term assistance with their current Math class. The Math Lab is a place where students with specific questions on homework, quizzes and tests can get the help they need to be more successful and comfortable with mathematics. The math lab is open daily from 7:00 a.m. to 12:45 p.m. The Science Lab is an integral resource intended to provide short-term support to students. Science support is a resource where students with specific questions on homework, classwork, labs, projects, quizzes and tests can get the help they need to be more successful and comfortable with science.The Lab is staffed with Loyola science teachers and is located in the ARC, room 215B. The Writing Lab is an available resource for all Loyola students who need assistance with the writing process in any content-area class. The Writing Lab can help students hone their writing skills as they work on any class assignment - from creating a thesis to embedding research and textual evidence, from organizing information to finalizing an introduction or conclusion. The writing lab is open from 7:45 a.m. to 2:48 p.m., but will be closed periods 8 and 9 this year. Did you miss a test because you were out sick or on a field trip? Don't stress! Students can take tests that they've missed due to an absence at The Testing Center. Students are required to make an appointment and give at least 12 hours notice. To make an appointment, click the Testing Center tile on your resource board. Students will need to submit their name, ID number, email address and the class and teacher’s name of the missing assignment. The Testing Center, located just outside the Library, is open Monday through Thursday 7:00 a.m. to 4:00 p.m. and on Friday from 7:00 a.m. to 3:00 p.m. Student must have their Loyola ID in order to take a test. The O’Shaughnessy Program, named for Mrs. Eileen O'Shaughnessy whose generosity began the program, serves freshman and sophomore students who would benefit from improving literacy and study skills in order to succeed in a college preparatory environment. Admission to the program is based on entrance exam scores, junior high standardized test scores, junior high academic performance and/or psycho-educational testing. Incoming freshmen who are admitted into the O'Shaughnessy Program are required to successfully complete a summer school course in English prior to freshman year. Depending on test scores, some incoming freshmen may also be required to complete Algebra 1 during the summer. Peer Tutoring is available to any Loyola Academy student who is struggling with academics. Tutoring is available for English, foreign languages, math, science, social studies and theology. An extensive review of research and literature regarding the use of peer tutors in secondary education found the benefits include higher class and final exam grades, improved attendance and improved long-term retention of material learned. Tutoring improves both the tutor’s and the student’s skills as it requires attention, motivation, review of existing knowledge and skills. This program is an intensive, short-term intervention for students in academic crisis. The goal of the program is to help students acquire the organizational and academic skills needed to be successful as independent learners. 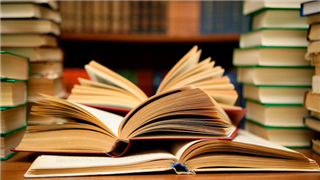 The mission of Loyola Academy’s Library is to ensure that students develop proficiency in utilizing a variety of print and digital resources to advance their own thinking, learning and understanding. To support students as they navigate our collection of over 12,000 books, 15 magazine and newspaper subscriptions and 20 of online databases, the library provides tools such as research assistance and class instruction.